Key difference: Often, the terms vintage and antique are used interchangeably, but in a broader way they classify different things, i.e., the term ‘vintage’ is used for things older than a decade or an era, whereas the term ‘antique’ is used for things which are 100 years old or history old. The terms ‘antique’ and ‘vintage’ generally refer to old things, or to things which are not modern or currently in trend. The term antique highlights things that are of old age, which were present in previous times, or to the ones which were used in historical times. Whereas, the term vintage reflects things which were probably used ten years ago or an era ago. The term "vintage" was originally derived from the dating of a bottle of wine, referred to as the vintage date. Hence ‘vintage’ also refers to the things that are not is use in the modern time, or things that are presently not used; they refer to things which have passed a phase or time span, but are still available in the market. Generally, these are famous and valued things of their time, so, people who are fond of conserving their culture or those who are fond of these things, purchase them from vintage galleries or showrooms. The term does not mean that it was produced in that era, but simply means that it mimics the fashions of that era. In the market the vintage things are charged extra and more than the current price rates. The term’ antique’ is generally used for historical things, which were present in historical times; these are preserved things and hence are not available that easily in the market. In terms of the phrase “old is gold”, these things are kept in the museums and under the observance of the government. Antiques are famous and the most highlighted things of the historical times; they are generally related to the royals. These things cannot be purchased that easily as they are the country’s property. However, they can be preserved and kept carefully. Sometimes these are used to depict the historical or past lifestyle of those times. These things are standards, which are 100 years old. The word antique does not concern with the time to which it belongs to, as these are considered to be the most valued objects of their time. The value of particular things is subjective in nature, i.e. their value depends upon the type and place to which those things belong. Hence, a valued thing of olden times is referred to as antiques, while the ones which were famous at their times (some 10 years ago) are referred to as vintage things. If compared, than the vintage things can be purchased, while the antique things are rarely present and hence they cannot be purchased. Cost wise, the antiques, if available, are tagged to a higher price as compared to the vintage things. 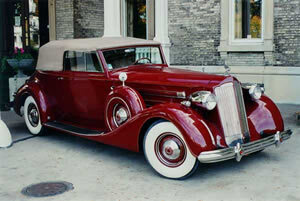 Also, the terms vintage and antique, adds value to the things, some of which are of great demand like the ‘vintage car’, and ‘an antique jewelry set’. The term "vintage" may be applied to almost any item past a certain age, whether it is considered valuable or not. The term "antique" generally refers to an older object valued because of its aesthetic or historical significance. They refer to be one of age and marketability. They refer to be of the past or history times. They are just a decade or an era old. They are too old, historical and some 100 years old. Vintage camera from the 20th century. 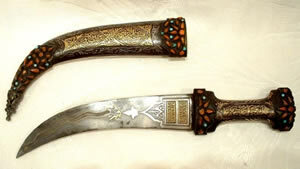 Antique sword of historical times.